The Red Accordion Diaries: Weekend review: The Sound of Music & a saw gig! Wee Angus has been a really great baby (except for the sleep thing, but honestly, I had very low expectations there), but I've really been feeling sad about missing out on time with my first Wee Boy. He is at the most fun age, and he is just so happy and good and such a fun person to be with. But I'm tethered to the baby, and it's hard to even enjoy a game of poker when the little guy is trying to eat the cards. I know "they" say that love doesn't divide; it multiplies. But time divides, and it is very hard to divide quality time equally. 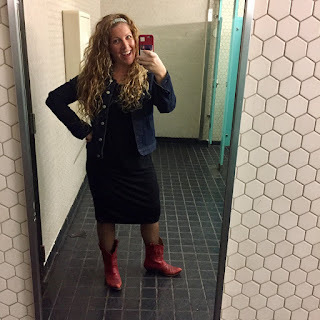 This weekend, however, I got a one-on-one date with my 4-year-old! It was the best. 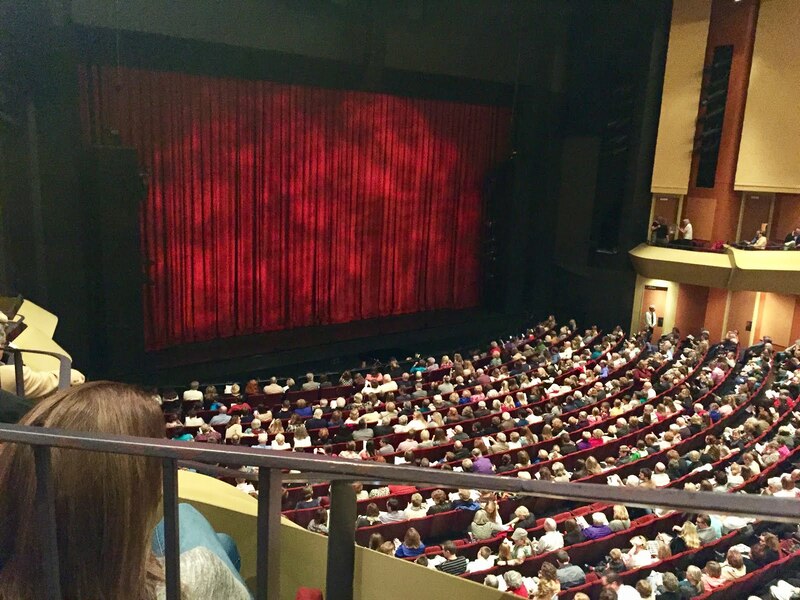 We went downtown to see The Sound of Music at the Kentucky Center. 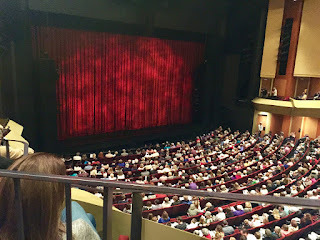 Our seats were high in the balcony, but a very kind woman offered us her extra box seats when she saw us heading towards the nosebleed section. It was so sweet of her and such a perfect way to introduce Graham to big musicals. Though I've had a lot of negativity in my head lately (I'm SAD, people! ), I'm trying hard to focus on the positive. 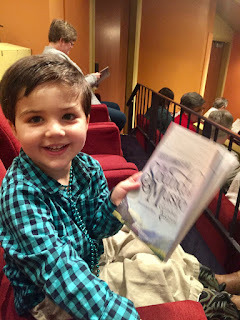 A huge positive is having a 4-year-old with the state-of-mind to sit through a 3-hour Broadway show, with curiosity and comprehension and appreciation and wide eyes. It was so fun to see him light up when they sang "Edelweiss" and "Do-Re-Mi" and to welcome him onto my lap for some snuggles during the wedding scene where he wanted to lean in and kiss me. Oh, he is just the best. Also, Louisville people, the new restaurant at the Kentucky Center was delicious! There is a kids' menu, but the Wee Boy and I shared some of the regular tapas -- even though we got fettuccini, which is basically a grownup version of butter noodles. We also shared a tasty salad and some truffle fries. It was so much fun. The only sad part is that the tickets were my mom's, but she has been knocked down from last week's chemotherapy and couldn't make it. I'm hoping she's feeling well enough to take him to The Little Mermaid next month though. Here's me all dressed up in real clothes, ready for a gig.